Order in the next 11 hours 16 minutes for delivery on Tuesday, April 23. Order in the next 11 hours 16 minutes for delivery on Friday, May 3. 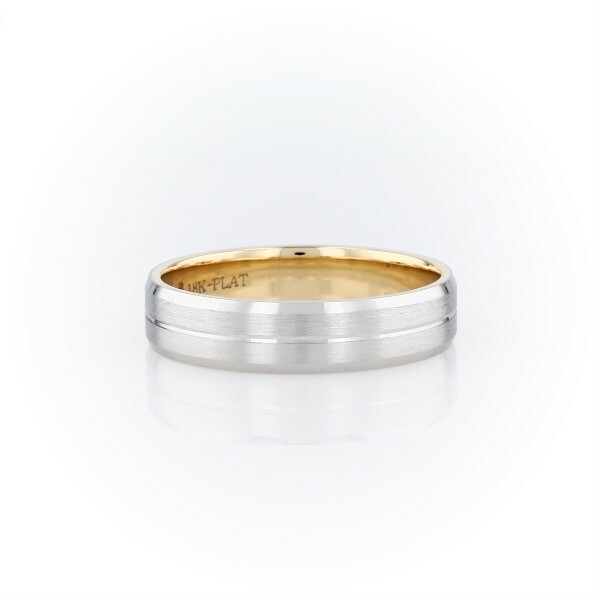 Solidify your love with this platinum and 18k yellow gold wedding ring showcasing a two-tone interior accent and a brushed finish.